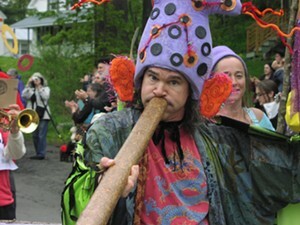 Adamant Blackfly Festival | Adamant Co-op | Fairs & Festivals | Kids VT - small people, big ideas! When: Sat., June 1, 9 a.m.-4 p.m. Kids and adults bug out at this cheeky town fête "honoring" pesky local insects, including a pie contest at 12:3 p.m., a 2 p.m. parade and fashion show, a writers' slam featuring Geof Hewitt at 2:30 p.m. and live music and family fun all day.